You know you want to play a Dragon! Not a half-dragon, not a reptilian humanoid, but a DRAGON! Come and find out if those who meddle in your affairs are crunchy and good with ketchup. Level up as a dragon and grow to the size of a house, breath fire, (or other energy types), struggle for territory, win prestige amongst dragons, slay giants, rule the sky, and embrace you true draconic essence right alongside all the other player characters. 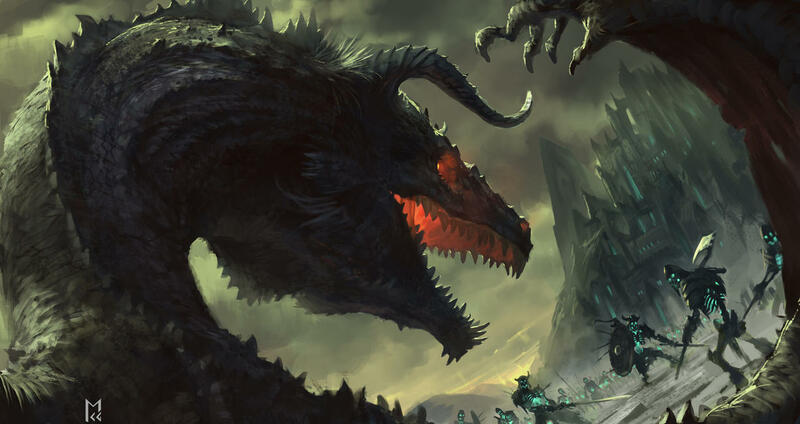 Create the dragon you want to play in the Pathfinder Roleplaying Game. This product includes the new dragon race the Taninin, racial traits, alternate racial traits, the core class archetype (which works with 21 different classes), the paragon racial class, and draconic feats, all so you can play dragons alongside any other player character in any high fantasy campaign setting. 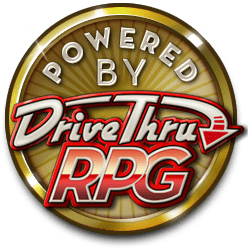 Unlike the playtest version this also includes flavor text dealing with Physical Descriptions, Society, Relations, Alignment, Religion, Adventurers, and Names as well as mechanics such as alternate favored class options, and three racial archetypes for Fighter, Oracle, and Sorcerer. Don't forget to check out the supplent 10 Dragon Magic Items! Is there anyway to get this as a hardback? In the Company of Dragons & Fey Hero Lab Files have been sent off to Lone Wolf Development for final review. They will be sold together for $9.99. I will let you know the release date when LWD lets me know, I expect July 1st at the earliest. The discount URL's not working. Yes the discount was sent out in error, so I had to delete it. What happens if a taninim draconic exemplar gets reincarnated into a different form, for example a human? Does he lose all his abilities? I would leave that up to the GM, by a strict interpretation of the rules yes, he would lose all class abilities (HD, BAB, Saves, and Skills would stay the same), if I was the GM I would either allow retraining or some way to transform back. I mean....Damn!! I guess after playing DnD/Pathfinder so long, I'm just not used to something so graphic in a fantasy RPG supplement (outside of World of Darkness type stuff, where such is expected). Yeah that was an image I considered pulling, but it does make a solid point about the fact that dragons are not human, and they see nothing wrong with eating humans especially when they steal from them. Question: Would the mechanics work if you swapped a humanoid race character for a Tanimin? Kind of like a humanoid who is learning to be a dragon and thus slowly transforms into one. The mechanics are designed for a taninim, part of the penalties for being a powerful dragon is the loss of magic items slots, and the ability to wield weapons along with the socieital issues in traditional campaigns of talking to folks as a dragon. So why yes you could do this. I would rather someone just say you were once human transformed or reincarnated as a taninim, losing all human racial abilities and gaining all taninim racial abilities. Couldn't you loose slots over time as you gain more draconic like features? You can do whatever you wish that fits your game, but that's not how its balance was designed. -Dexterity constant reducing with size increases may lead to negative dexterity in some cases. Even with magic items and ruling base Dex never goes below 1, that weakness causes Dexterity damage of any sort to be utterly crippling. -You constantly keep getting worse at flying at a rate that is insurmountable without abusing buffs. (-8 from clumsy, -4 from Dex penalties from dracomorphisis, -8 from size for a total of -20). This can lead to a player having negative flying skill if he doesn't constantly invest SP into it. -Wrathful Essence not working properly with the Draconic Essence mechanic. I hope that these errors are corrected in a later version of the document. Dexterity cannot be reduced below 1 by dracomorphosis. The Dex reductions from dracomorphosis are identical to the rate in true dragon's Dexterity reduction based on their size. If this is a problem, it is an issue with dragons in general and not the dracomorphosis ability's mechanics. Colossal dragons are not amazingly graceful flyers. Again, an issue with dragons. There is a reason, for example, that a CR 20 great wyrm green dragon has a Fly skill modifier of +12. Don't play a dragon and expect to pull off aerial acrobatics at 20th level if you only invested a couple skill points into it and have no buffs. If you are playing a 20th lvl colossal dragon PC with a negative Fly skill modifier, marvel at the fact that you can still get 125+ tons airborne despite not being maneuverable. The only elemental subtype from Elemental Gift that gains an elemental immunity is fire, and in order to gain immunity to fire this way the taninim is also gaining vulnerability to cold. Fire is the...See more most common and easily mitigated energy type, and there is redundancy between the benefits Elemental Gift (fire) provides with the resistances of fire-based draconic essences who would otherwise gain from the offensive fire damage boost Elemental Gift (fire) provides. This was an intentional design choice.